A senior White House official praised Prime Minister Benjamin Netanyahu on Thursday for his handling of tensions surrounding the Temple Mount amid the fallout from a recent terror attack at the site, saying the premier acted in the interest of regional stability. 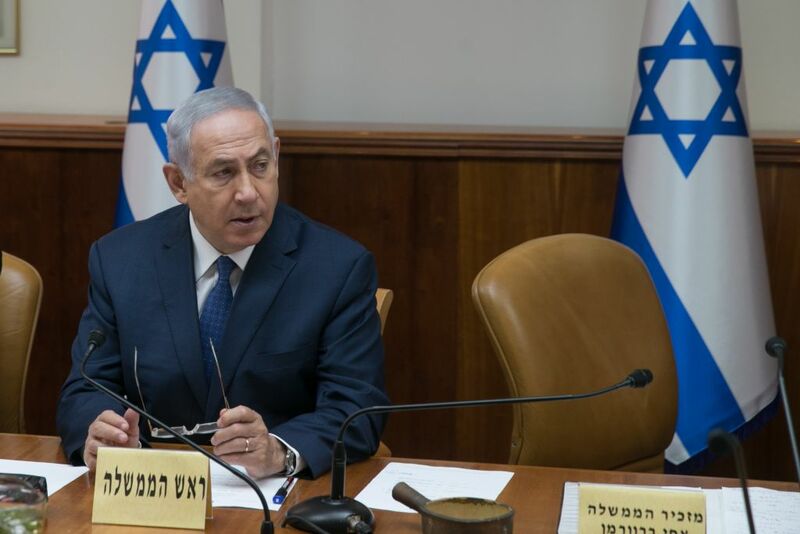 “In our continuous contacts with him throughout the crisis, Prime Minister Netanyahu acted with a clear sense of responsibility not just for Israel’s security, but also for regional stability,” the official told The Times of Israel Thursday. The official’s praise for Netanyahu came after Palestinian Authority President Mahmoud Abbas and Jerusalem’s Muslim religious authorities on Thursday gave protesters the all-clear to end their 12-day boycott of the holy site in response to new security measures following the July 14 terror attack, when three Arab-Israelis shot dead two police officers outside the compound using weapons smuggled into the Temple Mount compound. 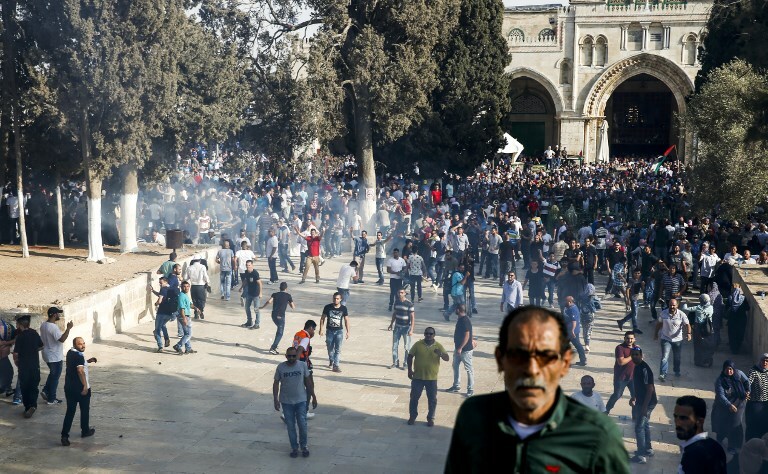 The decision to place metal detectors and other security measures at the entrances to the Temple Mount was met with widespread furor, with demonstrators holding daily prayers outside of the Old City and at times clashing with security forces. Anger at the security measures was also cited by assailants in a pair of terror attacks, including by a Palestinian who stabbed to death three members of a family in the West Bank settlement of Halamish as they celebrated Shabbat last Friday. Late Wednesday, Israel removed the final security measures put in place at the entrances to the holy site. A State Department official on Thursday would not say whether the Trump administration supported Israel’s decision to remove the Temple Mount security measures but emphasized the US would not “pressure” Jerusalem over the issue. In a statement Thursday, US President Donald Trump’s special envoy for international negotiations Jason Greenblatt said the US welcomed the efforts to restore calm, saying he hoped it would help renew an opening for peace talks. “The United States welcomes the efforts undertaken to de-escalate tensions in Jerusalem today. We believe that calm and security will create the best opportunity to return to dialogue and the pursuit of peace,” he said. “President Trump, Jared Kushner, and I, in full coordination with Secretary [of State] Rex Tillerson, Ambassador [to Israel] David Friedman, [Jerusalem] Consul General Don Blome and the State Department, as well as General HR McMaster and the National Security Council, have been and will remain engaged as we continue to monitor the situation closely,” he added. 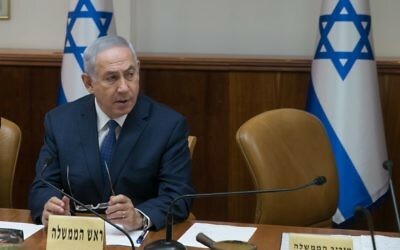 Netanyahu had come under intense criticism for his decision to remove the metal detectors and other security measures, with a survey showing wide support for keeping the sensors in place and the Israel Hayom tabloid, seen as a key ally for the prime minister, blasting him as “feeble” and “helpless” over the decision. Others had questioned his decision to place the metal detectors at entrances to the site in the first place. 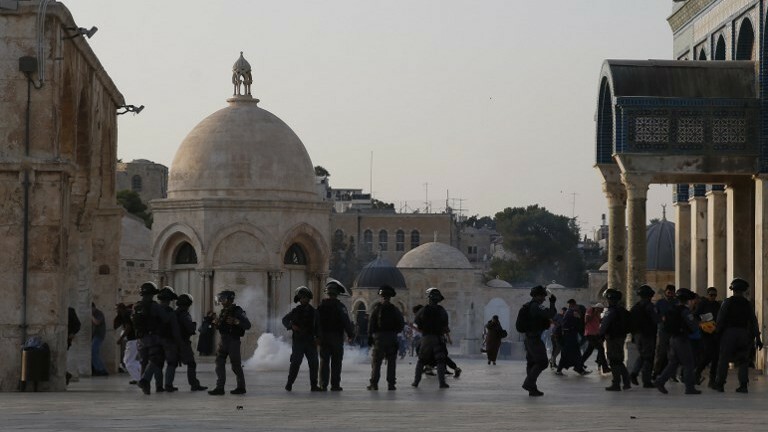 Despite the deconfliction efforts, large scale clashes erupted between Palestinians and Israeli security forces on the Temple Mount Thursday, as thousands of worshipers entered the site for the first time in nearly two weeks. 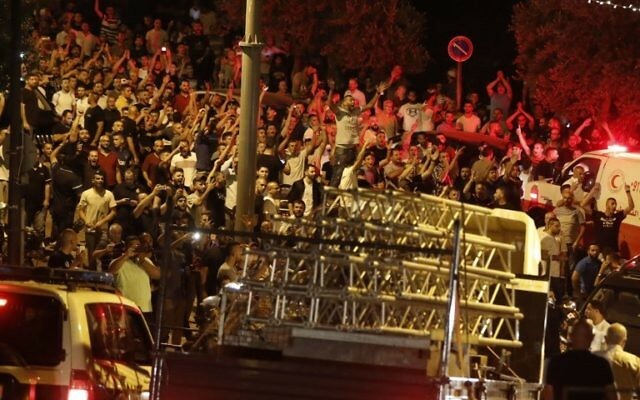 The police responded to the stone-throwing with riot dispersal methods and vowed to forcefully combat any violence. Eric Cortellessa, Times of Israel staff and AFP contributed to this report.